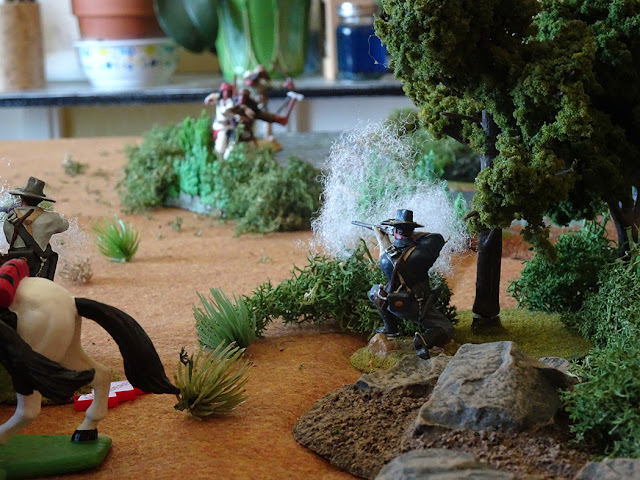 I ran a skirmish game on Saturday using Fistful of Lead. 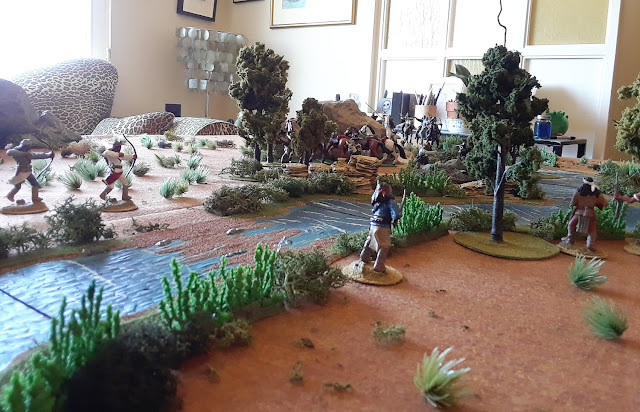 The scenario was straight from the FfoL scenario book and involved five US cavalrymen trapped in the bend of a river in the uplands of Arizona having to hold off ten Apaches. The cavalry will be relieved by a rescue column after either six or ten turns. 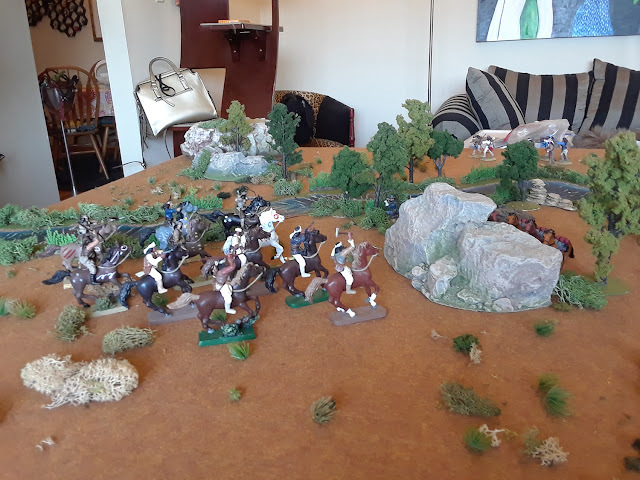 The way the game went this time, luck was on the cavalry side and they were relieved after turn six. 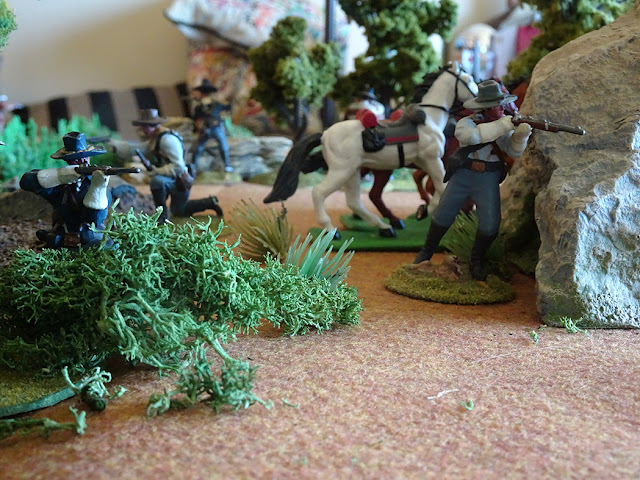 But it could have gone either way and when we called the game, the cavalry had lost one man dead and one man was pinned and unable to react. 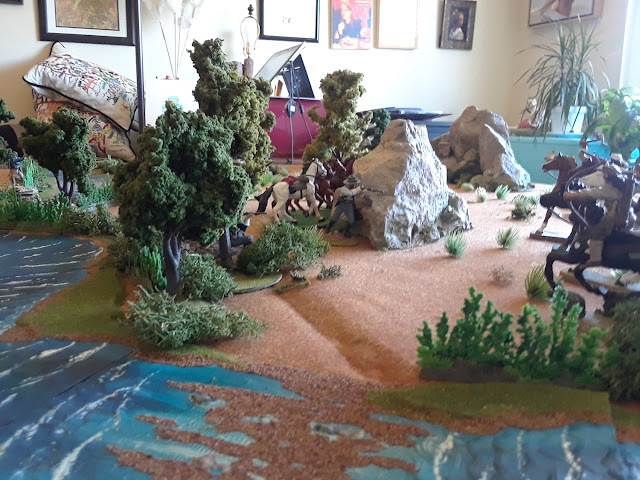 It was a fun three hour game and proved, yet again, that you can have as much with fifteen figures as you can have with 150 or more. Nick: what was the size of the game table? Have you any overall photo-shots of it? 4DJones, the table was 6X5 feet. The Apache started in two groups of five from diagonal ends of the table. 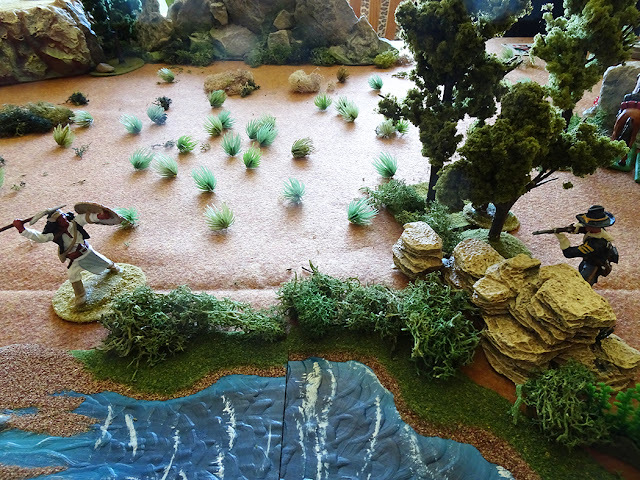 Sorry, I don't have an over all view of the table, but here are a few more photos from a wider angle. I should mention that these photos were taken before the game began. The Apaches had a choice of starting with all of their warriors on foot, mounted or a combination. 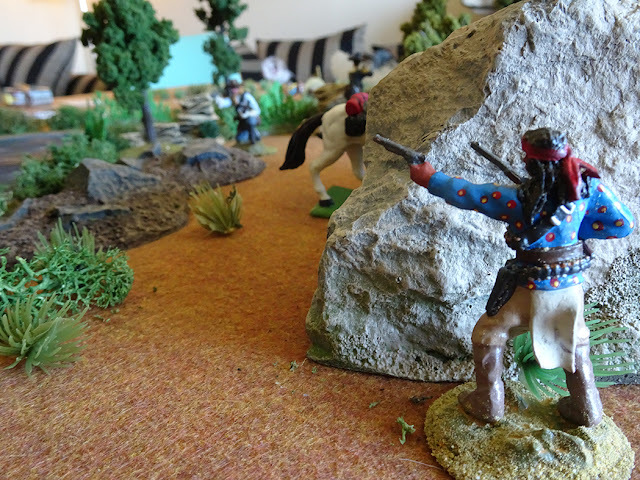 In our game the Apache player chose all foot, so the pictures of the mounted figures are just for show. The game looks beautiful, Nick. 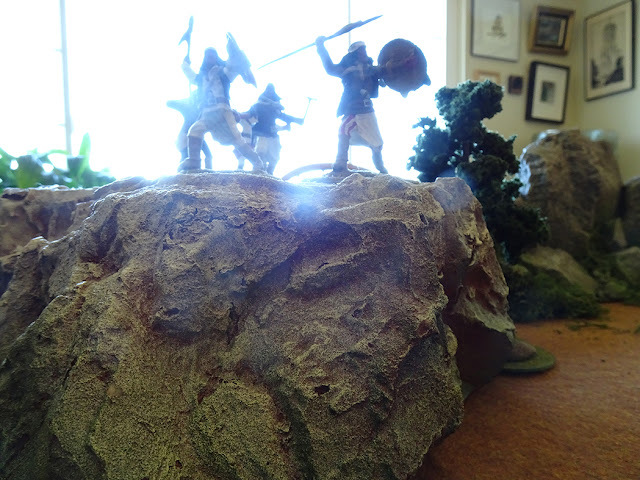 And you couldn't be more right about small, focused games providing just as much fun as bigger actions with hundreds of figures. Thank you for sharing! Looks cool all around, Nick. Nice job. Looks real good Nick. Thanks.